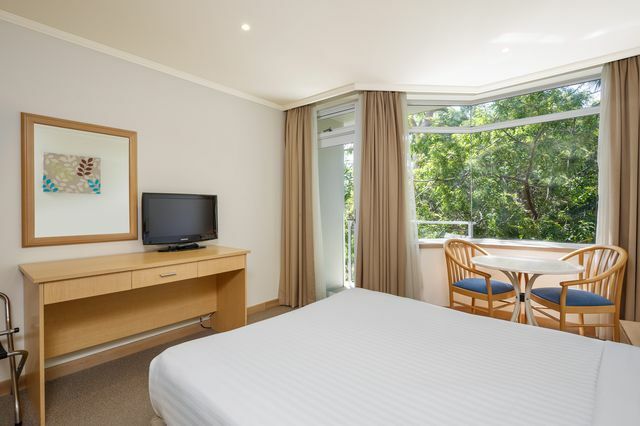 Comfortable and well-appointed room, most with a small balcony. 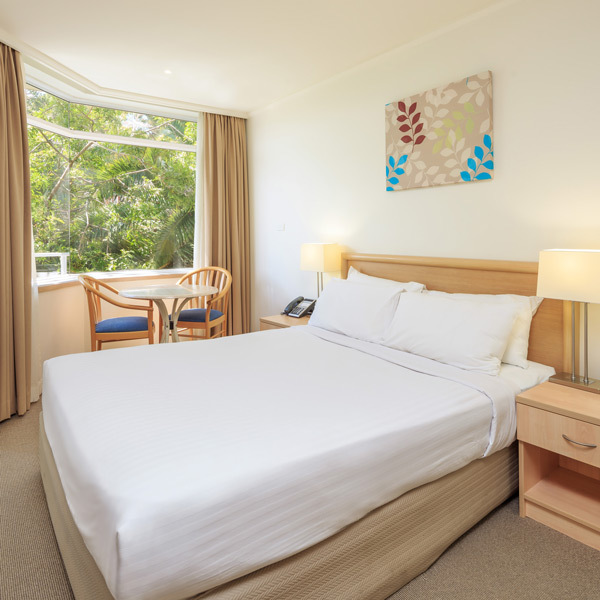 Room features include TV with Foxtel, wireless internet, air conditioning and complimentary tea & coffee. With one king or two single beds. Extra bed available on request. Suitable for up to 3 guests.